An iPad is a quick solution for getting the things done at the snap of fingers. It is an immediate answer to tasks like jotting down something or while seeking swift reference from the net. It makes a perfect replacement for paperless transactions, makes an ideal companion while traveling with its optimum screen size that makes reading e-books pleasurable. One should not forget its resourcefulness as a guide offering directions on maps when one loses his way around. Realizing the plethora of uses of the iPads, they are now more often used in events, tradeshows, exhibitions, meetings etc to make use of the iPads in full swing. We at VRS Technologies offer iPad Rental Dubai for all the mentioned occasions. Just about the right size and weight to make it a great hand-held device; availability of numerous apps for each task are a few features that make it one of the most sought-after electronic devices. Ten hours of unplugged battery use is something one cannot ignore especially while traveling or when long meeting sessions are being held. It makes a right device to collect data during survey/opinion polls during conferences. It is an ideal device to make presentations. They can be used as a substantial sales pitch by presenting the live statistical data related to company shares etc. Conference apps allow one of the participants to act as speaker while others can listen in to him with their own device. It can act as a personal calendar to jot down the upcoming events/appointments. It is ideal for showcasing the newly developed product of a company as a part of marketing strategy demonstrating the various applications through visualization. 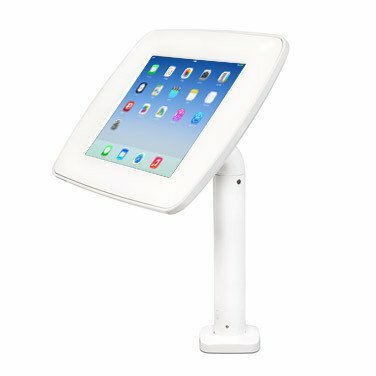 It can be used a point of sales device for making an immediate purchase of the product as soon as it is showcased. It can be used to record the information of the participants at the event; more like a stack of business cards. We at VRS Technologies carry large inventories of iPads to meet any kind of requirement in Dubai. We offer 3G, 4G Wi-Fi as well as cellular models with flexible short-term and long-term rental plans. Choose VRS Technologies for iPad Rental in Dubai. Contact us at +971 55 5182748 for more details.